Fast, quiet, all in one machine. Product has some quality control problem. It has some minor software issues. This is the summary of consumer reviews for HP Officejet Pro 8600 Premium All-in-One Wireless Color Printer. The BoolPool rating for this product is Good, with 3.90 stars, and the price range is $265-$400. HP Officejet Pro 8600 Premium All-in-One Wireless Color Printer has enhanced print resolution with web print technology. It is very fast, quiet and easy to install. 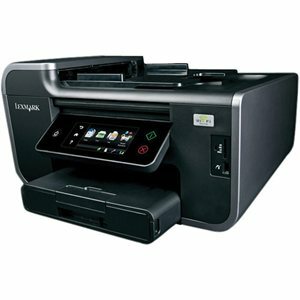 It is a great value and quality for the price with built-in wireless printing. This printer offers a lot of good features. It is ink efficient and comes with a very useful second paper tray. The printer is well packaged for shipping. It has a good touchscreen with good user interface. The product has some quality control problem with some minor software issues. Some users are unhappy with the printer since it gives problems with different paper types and does not take paper very well from different trays. 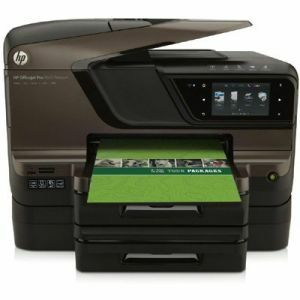 Overall, HP Officejet Pro 8600 Premium All-in-One Wireless Color Printer is an excellent and good quality color printer from HP and users are happy with its printing quality and performance. This machine is fast, quiet, and ink efficient. Black copies only require black ink; my Canon used color ink even for black and white copies. I wanted a wireless with a good scanner, individual inks at a great price. I was very pleased with the features on this all-in-one printer. Exceptional quality and each upgraded product does a better job with ink usage. Another great all-in-one from HP. The benefit of the second tray and the extra color ink included make Premium a great investment over Plus. I got all of that plus more for a very reasonable price. I've made hundreds of copies on the black ink tank that came with the printer. I don't use nearly as much ink as i used to. It'd been well worked for a number of year and was time to step and get something new. I bought one and also had quality control problems. Anyway- it took me about 10 minutes to install my wife's laptop and it's working like a champ, and now I'll install my own laptop. It all worked exactly as described and I'm very happy with this purchase and with the quality of the printing. Some people have complained of quality control problems. 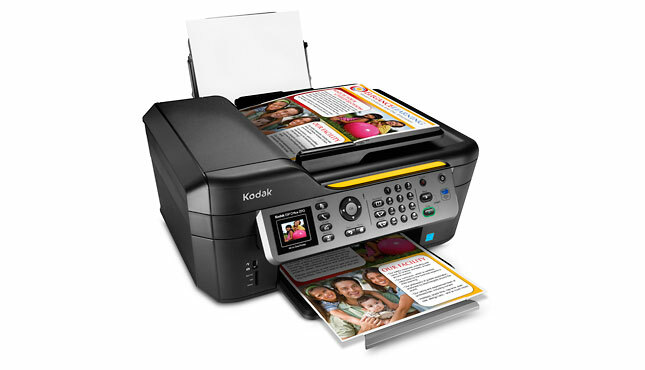 This's a top of the line printer delivering great value and quality for the price. The print quality is much better that the HP 6500. It took forever to install, installs frequently failed, instructions were complicated, and once installed the software was all but impossible to uninstall. I like the features in this printer, it works great. I wore my old printer out (HP Officejet 6500) HP always makes good products and if tou do have a problem HP has a fast turnaround time for warranty service. HP knows this product distorts all in coming faxes to email and won't fix the software issue. Not really happy with the service nor the product at this point!. I returned this product and bought a Canon PIXMA MX882. I'd several problems with this printer and the software. Not much faith in their product. Packaging was intact with no problems. The problem was still not fixed and HP had no solutions. This fax to email feature is the reason I purchased this product. Fast shipping from HP, Well packaged, Super easy setup, Wireless setup was a breeze, ePrint (email printing) and printing from my IPAD2 was easy to setup and works great!! Easy wireless setup on four computers. 2 sided printing and extra paper tray setup easy and also works great!! However here this printer is so easy to connect and best of all a very short and easy instructions that it took me to read and connect and have it working 50 minutes, I don't know about you but that to me was very, very easy and the system works and prints like it says it'd. Pros Easy setup, setting ePrint feature straight from the printer and customize the ePrint account at the hp website all without using the DVD software, fast printing and excellent network connectivity. It's fast, quiet and the print quality is superb. Easy to set up and used immediately. Following the easy setup guide was a snap--set up in no time with no hassles. I love the touch screen feature (so easy to use) and the 2 drawer paper feed!. All features are user friendly and easy to implement. Easy to set up, connecting wireless was so simple and all features are great. I've used the copy feature and quickly understood how to use the enlargement feature. The features outstanding for a small office. This printer has a lot of great features. This all-in-one has awesome features and is worth every penny. All features are so precise and detailed. The fax feature was super simple to set up too. 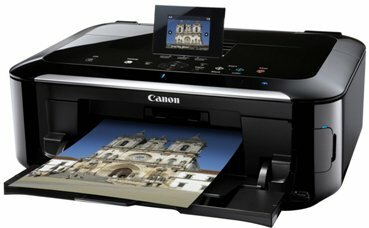 Out of the box, the $100 printer will print 500 sheets, $200 prints 1000, the $300 prints 1500, before needing new cartridges. As it turns out to print a photo you MUST print on the BEST quality setting. The print speed is fast. - When you hook up the printer via a HARD WIRED connection (cable) the printer still is available to print via your WiFi network at home from all your iPhone / iPad Devices... and it works Beautifully!!!! The print quality is excellent and the software was extremely easy to install. I've done one or two scans, done some printing from my Mac, some duplex, even printed a bunch of different labels, and it works as expected. Send your print jobs to the email address and viola, print out is waiting for you! Print speed is very, very fast. Took it back the next day and got another thinking there was a problem with the print head. We're unable to use photo paper and card stock. To print on cardstock you MUST select HP paper; HP Brochure matt, HP Brochure glossy..etc. You CAN'T select cardstock or thick paper and expect it to work.I think they're trying to sell their paper. Paper tray 2 must be used for plain paper only. I looked under the paper type settings (under the printer preferences/properties when you're getting ready to print a document), and there was another setting directly under the "plain paper" setting simply called "thick paper". These can feed just fine from paper tray 1. Pushed print and the printer thinks the paper drawer is empty. HOWEVER, it still won't print from the 2nd paper drawer. Even with setting cardstock for paper type the printer needs two to three attempts to load paper. Paper Handling- I read other reviews citing problems with tray 2 setup and printing. Cons Switching paper trays didn't seem to work. These must have been fixed with firmware upgrade because I've had good luck printing envelopes, labels, and photo paper from tray 1 and plain paper from tray 2. User has to select legal size paper and tray to print from for each job. In fact, my client really wanted a bypass tray for envelopes so that the second tray could hold letterhead paper stock. I set the copy tray to be #2, put some paper in the second tray and left the first tray empty -- it told me that it was out of paper. Also, the bottom paper tray sticks out some if you use legal paper.